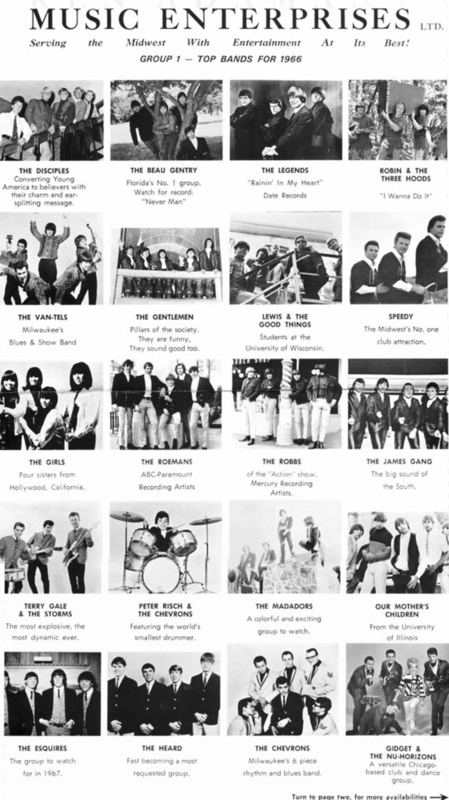 By 1966 the Pop House was playing host to regional bands from all parts of the country. Due in large part to George’s business relationship with Madison promoter Ken Adamany, Pop House members saw and heard many bands whose stars were just beginning to rise: the Buckinghams, the Rivieras, the Castaways, and many others. 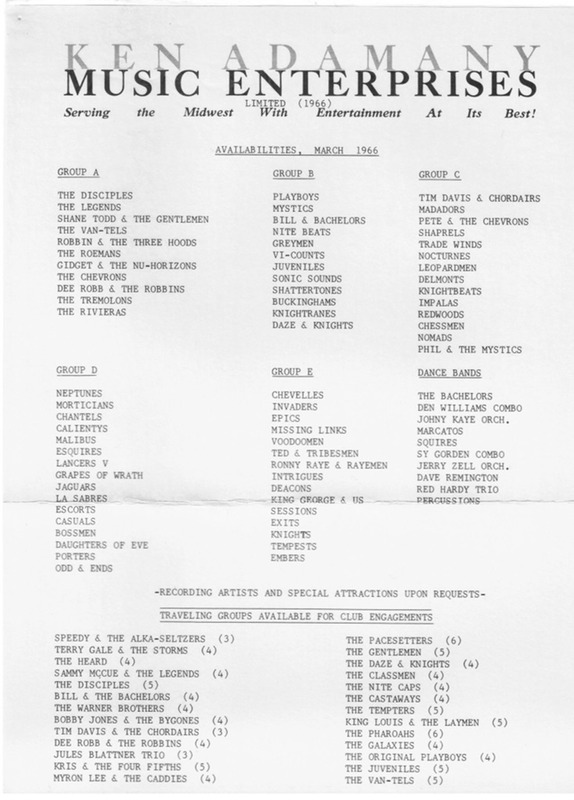 On the other side of the multi-photo poster was a printed list of more bands that were available early that year. How many of the bands do you recognize or remember seeing at the Pop House?